Nifty March future on the hourly charts is in positional buy mode since the interim budget 2014 event and currently the support zone comes near 6237. Reverse your position to positional shorts only if the support breaks on the hourly charts. Bank nifty turned to the positional buy mode recently on 24th Feb and currently resistance zone comes around 10656. Reverse your position to sell mode if the support breaks on the lower side. At this point there is not clear open interest picture from the Open Interest charts. 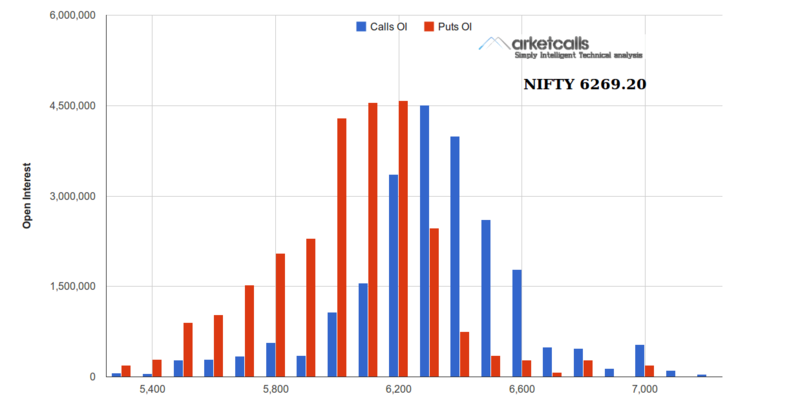 Almost equal amount of open interest built up seen in 6100PE,6200PE and 6300CE.